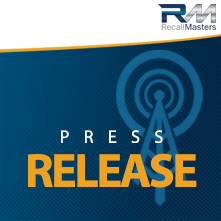 San Francisco, CA– October 3, 2016 – Recall Masters, Inc., the leading provider of automotive recall news, data, training, and communications, today announced it is a Platinum Sponsor of the Auto Rental Summit, the premium educational training conference for auto rental companies, October 24-25, 2016 at the B Resort & Spa, Lake Buena Vista, FL. “It is our mission to ensure that auto rental companies are as well trained on recalls as their dealership counterparts, so we are delighted to sponsor a conference designed to improve consumer safety, compliance and customer service while streamlining recall management toward maintaining a strong revenue stream for rental centers of any size,” said Christopher Miller, CEO Recall Masters, Inc.
Recall Masters is aggressively selling services directly to rental car agency locations and partnering with leading software providers so as to provide an end-to-end solution that fits seamlessly within a business’ existing processes. At every touch point from vehicle sales, to loaner cars and inventory management, automotive repair scheduling and service lane visits, to auto rental and corporate fleets, Recall Masters places actionable information at the fingertips of automotive sales and service centers, as well as consumers, nationwide. The company is the leading provider of automotive recall news, data, training, and communications and is dedicated to helping automakers and their dealers expedite the repair of recalled vehicles and make the roadways safer for everyone. Greater recall awareness and proactive management helps automakers protect their brand and build trusting relationships between automotive dealers, rental car agencies, auto auctions and consumers alike. To learn more about Recall Masters complete beginning-to-end solution, schedule a demo or receive a free trial call: 888-651-4480; email info@recallmasters.com; or visit https://www.recallmasters.com.